I look forward to Wednesdays, not because I can't wait to find out what amazing projects my fellow upcyclers will be linking to on Upcycled Awesome this week (Although that is fun! ), but I find out what is in my weekly CSA. If you don't know what a CSA is here are the basics: CSA stands for Community Shared Agriculture, which means that you are buying a share of a farm (or collective of farms) and you get a portion of what they produce every week. it is a great opportunity to follow the 100 mile rule when it comes to your food. I love the fact that my family eats fresh and we know where our produce comes from. 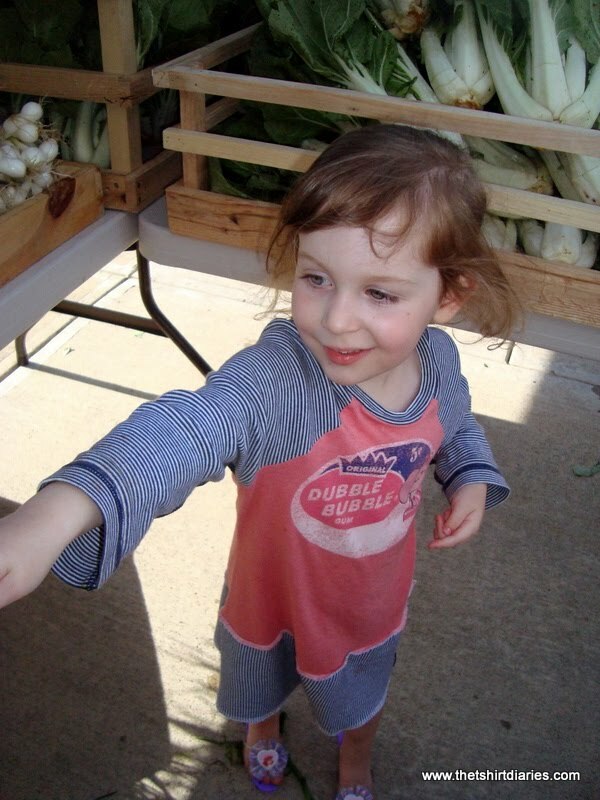 The kids love picking out the vegetables themselves. They even eat them sometimes (LOL). They think it is so cool to meet the farmers and learn about how plants grow. Truly a highlight of our week. So what does going to a CSA look like? A little bit of heaven, check it out. Once you pay for your weekly share you get to go through the line and pick out your designated fruits and veggies for the week. Our CSA has two sizes: family and single. The produce is amazingly fresh. 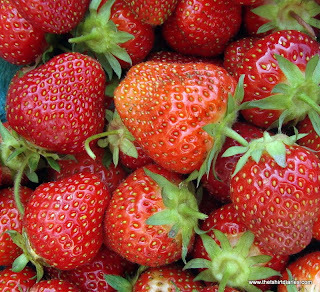 Check out these strawberries. My mouth is watering just looking at them. Yummy chamomile for some tasty tea once we dry it. 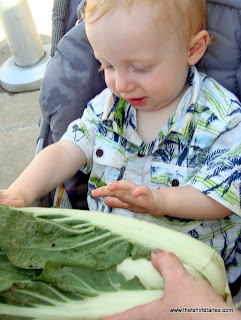 C2 checks out the Bok Choy. He loves a good stir fry with Bok Choy, Tofu, and mom's homemade peanut sauce. If you are interested in checking out a CSA near you visit Localharvest.org for more information. 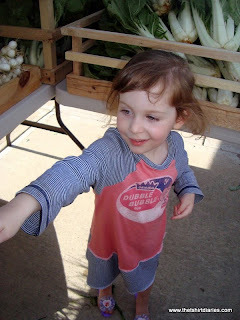 You will love eating fresh and helping out local farmers.